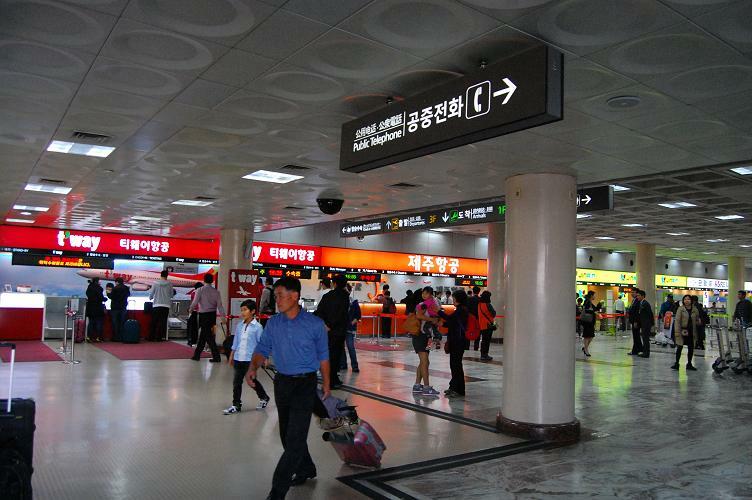 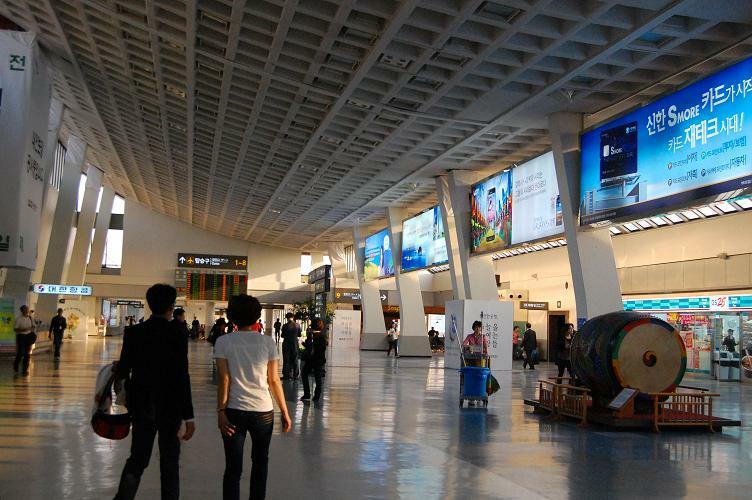 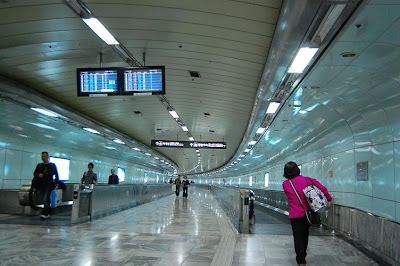 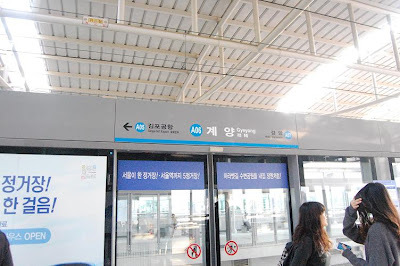 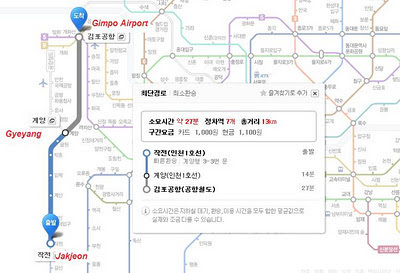 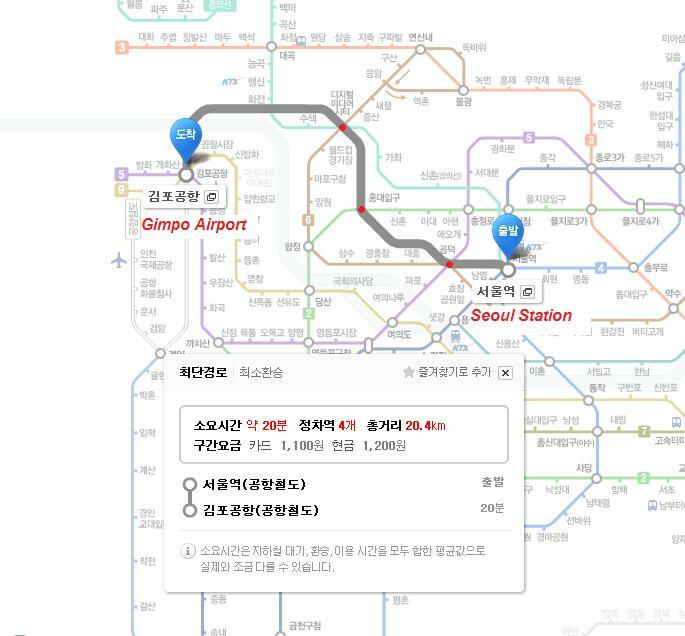 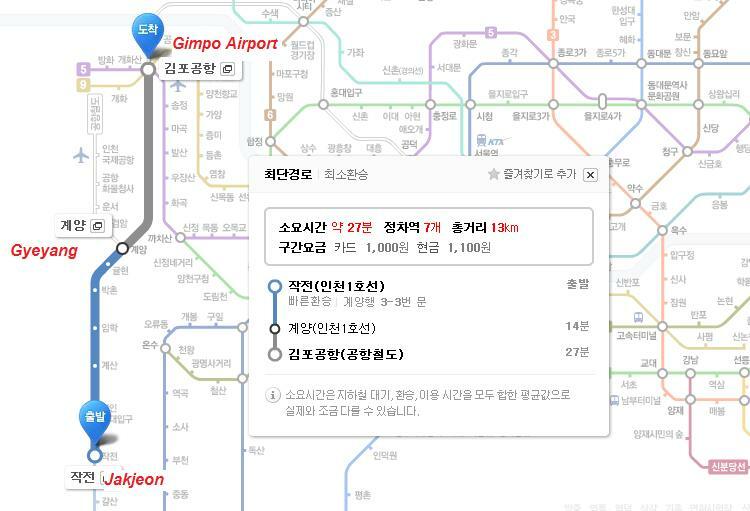 If you are flying domestically from Gimpo Airport, you can reach Gimpo Airport either by AREX, subway or bus. 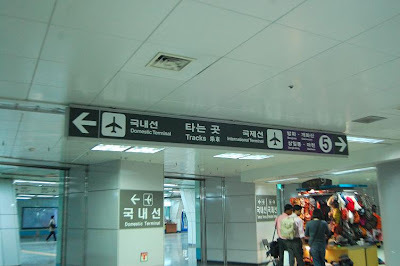 These pictures are taken when I was flying to Jeju Island from Gimpo Airport with T'Way Airlines. 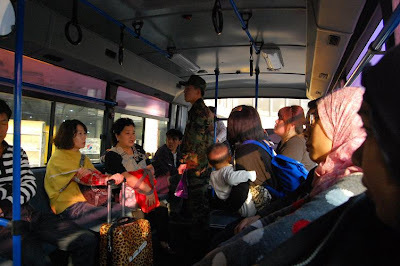 Further info on transportation is here. 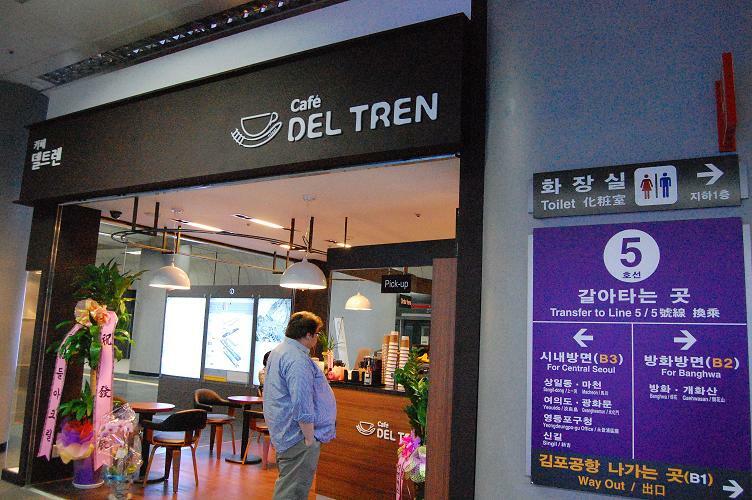 for 1,000 won using T-Money. reaching Gimpo Airports. 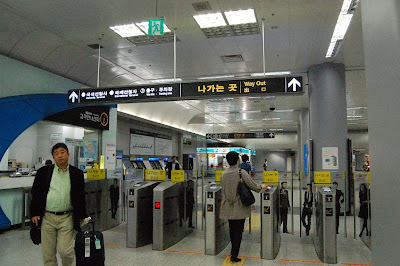 Time is 20 minutes for 1,100 won with T-Money. 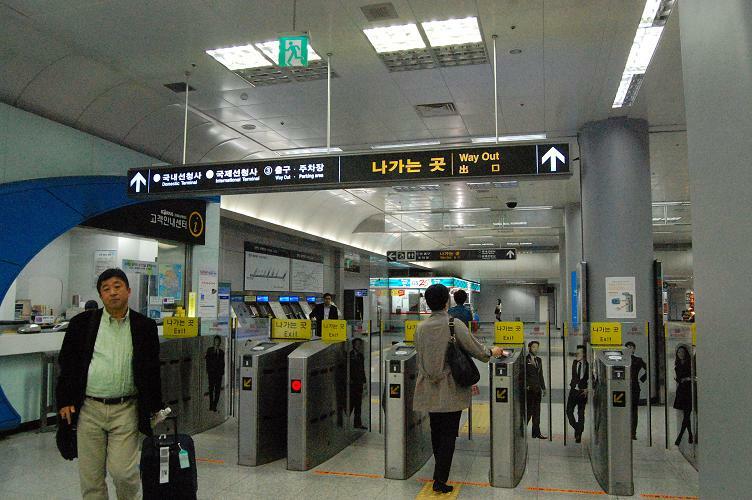 Waiting for AREX at Gyeyang Station. 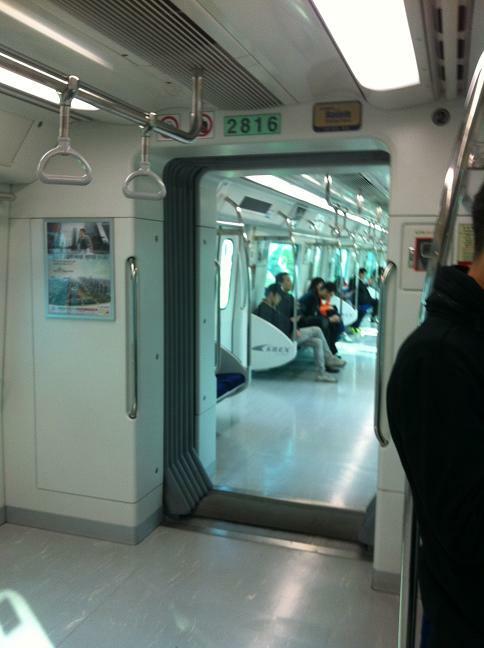 Inside AREX, not much difference from Seoul Metro. 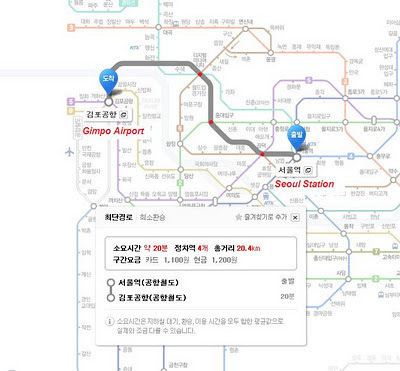 you can transit to Line 5 if you are heading to Seoul. 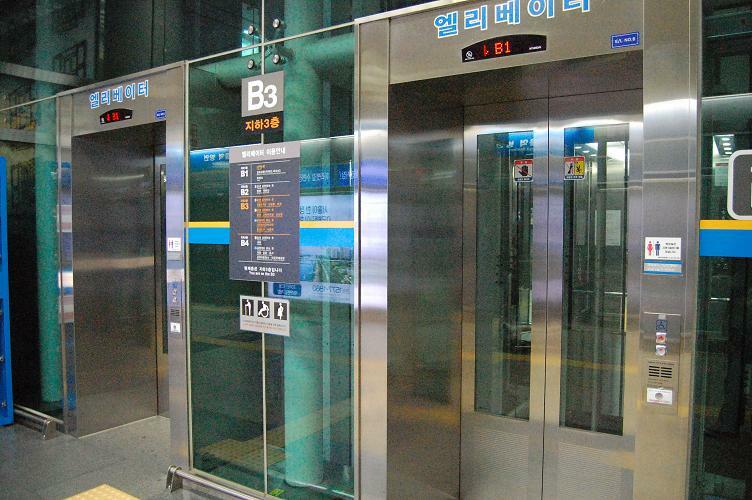 Take the elevator to B1. 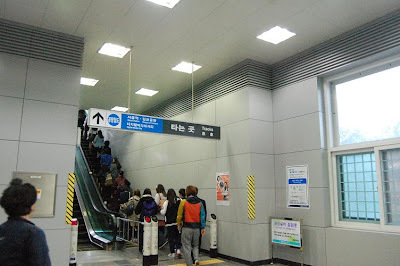 Once you turn left, you will see this long escalator. to check in your luggage and boarding. After check in, we head to 1st floor to board the flight. was so unnecessary but we had to.